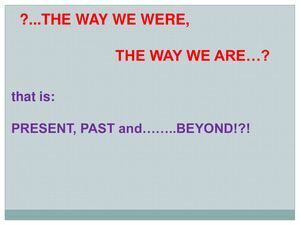 ?...THE WAY WE WERE, THE WAY WE ARE…? that is: PRESENT, PAST and……..BEYOND!? !